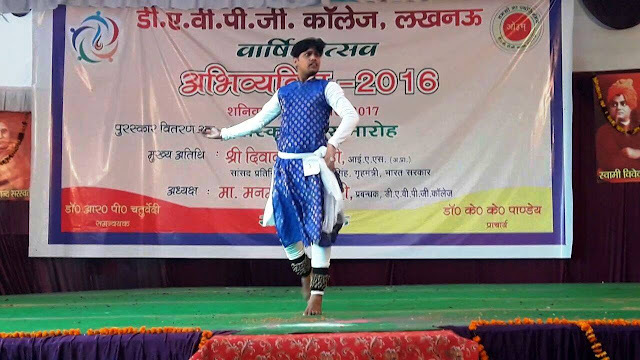 For over 7 hours on January 21, Anjul Bajpai sat outside the DAV college Lucknow room, dressed in his Kathak costume, his face caked with no makeup, waiting for his turn on stage. His event was scheduled for 3 on Saturday afternoon this week; when his name was finally called out; it was 6 at evening. After his Kathak performance, he had to sprint down the steps of the stage. Anjul at these hours was with his companion friends; namely, Sidharth Rai, Satabdi Garima, Praveen, Ayush, Niharika Pandey, Rina. Anjul Bajpai is the dance teacher at Tansen Sangeet Mahavidyalay Lucknow. When the results were out, Anjul had bagged first position in his event. 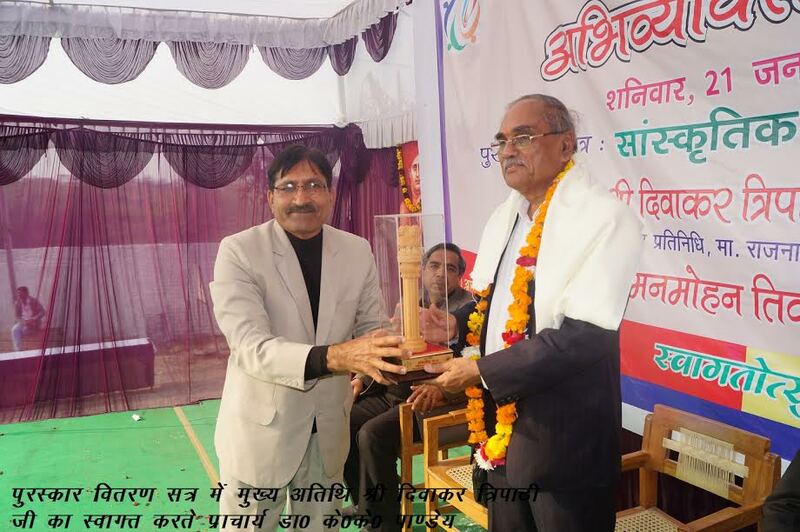 The management and the learned teachers of DAV PG College Lucknow have been always organized the annual programe ‘Abhivyakti’ (Expression of youth) to find the talent of students in the different post graduate colleges in the city and adjoining areas. The students participate in this function every year. The competition was held this year, and the awards were felicitated to the winners. Actually the judges of the events are invited to sideline the error makers.